Ari has more strength than Beith? How odd must have had some buff on when I took the shot. Not that it’s important to either of them. 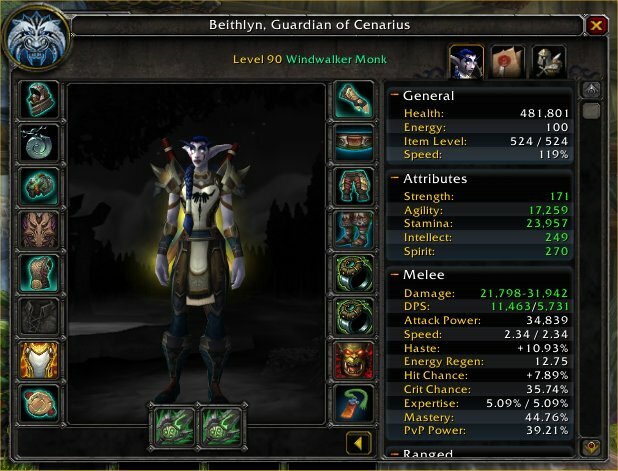 Beith switched to Windwalker so she can wander around with two weapons on her back. So far gone are the days when everything was about being ‘raid ready’. 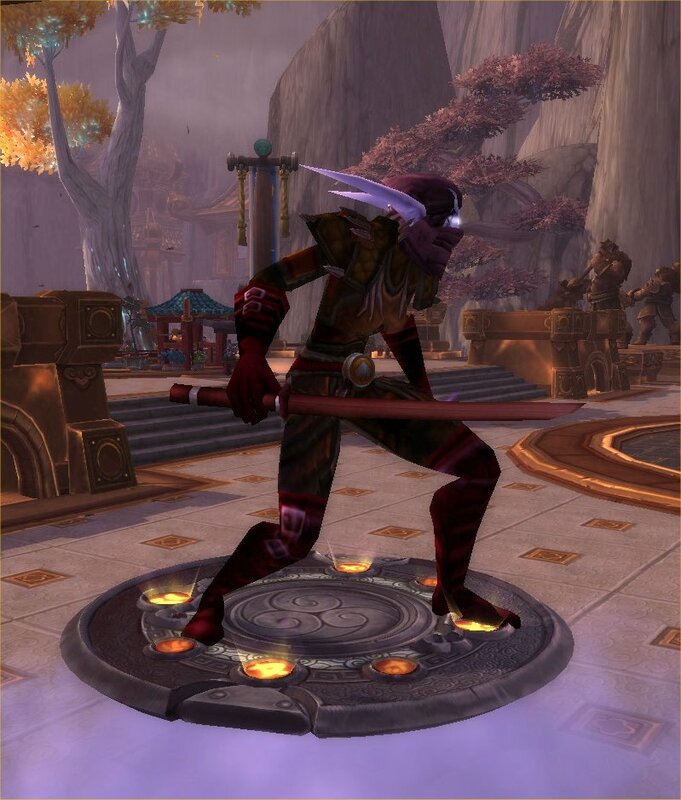 I’ve only been paying cursory attention to the class changes coming in WoD. I’ll figure it out as I go. 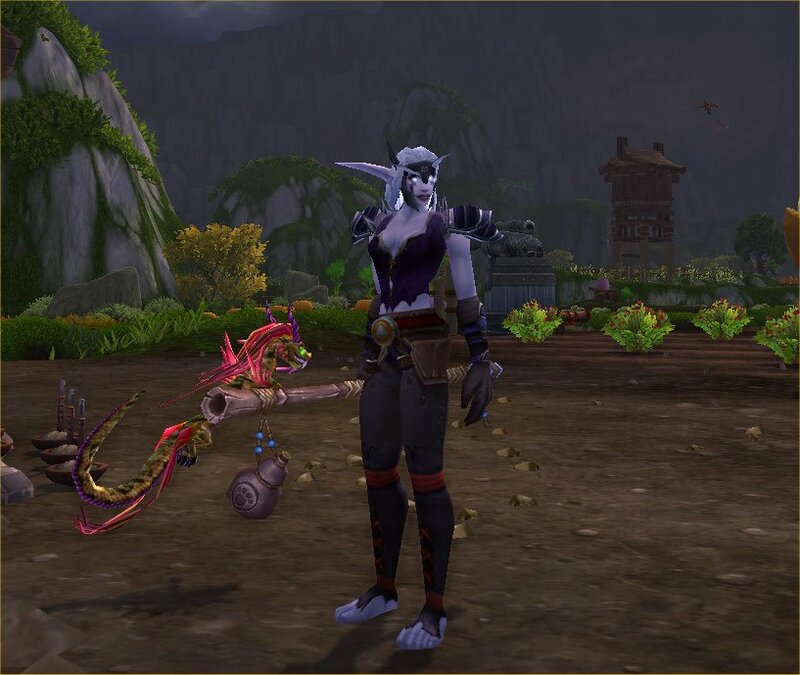 Bechka got moved to Horde side she’s now a male Bloodelf ‘Botanist’ monk. Blizzard put all the English RP realms into one big CRZ about a month ago. So they can all have walk on parts on AD/MG. (Cos the other RP realms – not real 🙂 ). I am still playing, quite a lot the last month but not in my usual hangouts. MG is very quiet even after being connected to erm other places. I was pretty much pottering around playing an hour here and an hour there on my alts, doing some dailies that are real grinds there wasn’t much to write about or to keep me playing. Then one night, around 3 am as my insomnia was in full force & I was switching realms. I noticed AD was claiming to be full. So I went and had a look as I’ve one abandoned char there from some RP event I attended years ago. Not only was it full, but they were actually RPing. So after a couple of nights of checking that hadn’t been some fluke and still a bit sleep deprived I went and boosted two level 90’s (it would have been cheaper to transfer one of my MG 90’s over). Yes we ‘kept’ the bokken, one of the pluses of boosting I can cherry pick the quests that have rewards I like. So I’m having a great time rping most days with an long established guild on AD., and woefully forgetting my army of chars on MG. I’m considering Ari making the move too, but want to wait and see, because you know if Ari comes than Briar and Nia are bound to follow, just because. 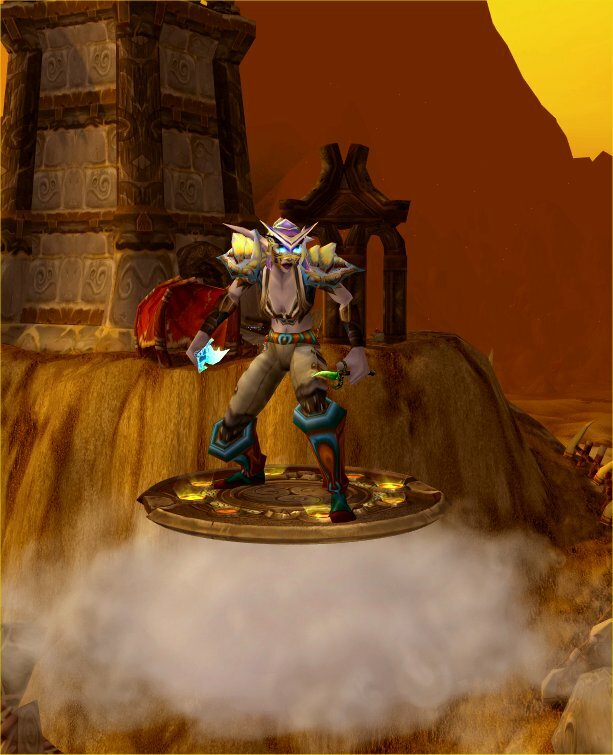 I have a massive affection for MG. It’s been my WoW home since 2005, and I’m hoping connecting it up will reinvigorate the RP, so no drastic decisions till December. I don’t consider myself much of a mount collector. Though I’ve still managed to collect 75 of them of them over the years. I’m still firmly wedded to epic flight form and wish all my chars had it. As they can’t they need mounts, preferably ones I like, and at the moment that’s my hippogryph and the red flying disc. I treated myself to the Cenarion hippogryph back in June 2010. I’ve finally added a second hippogryph to the stables. The Silver Covenant one. It’s not for Ari though it’s for all the little hordlings I intend to level on whatever realm MG ends up being connected to, (probably all of the RP realms except for AD). I have a sneaking suspicion they’re all going to end up blood elf females & I truly dislike those squawking chicken things they get. The 90 boost is in and I’m having a hum and a haa about blowing £40 to create a Shaman. I never have been able to level them, some of which might be the races available. It’s not that I haven’t tried every race Blizz offers it’s just that I seem to fall back on elves & humans. Maybe I’ll wait till the model revamp, they may seem less clunky after that. I’m also adding getting the Flameward hippogryph to my ‘to do while waiting for WOD’ list and maybe other in-game ones. Need to check on which they are. The Argent can wait until I feel like doing the Tournament dailies again. edit 14/10/14 Turns out the Silver Covenant is Alliance only. It’s the Argent that is cross faction so did get that too. Still about 35 tokens away from the Mount Hyjal one as the dailies drag on and I skip doing them for a week or three. Well not quite as we’re going back in time when Outlands was still Draenor. Or year Zero the start of the First War. Blizzard isn’t that good about timelines, different sources give slightly different ones but Mists of Panderia is generally supposed to be year 30 after the First war. 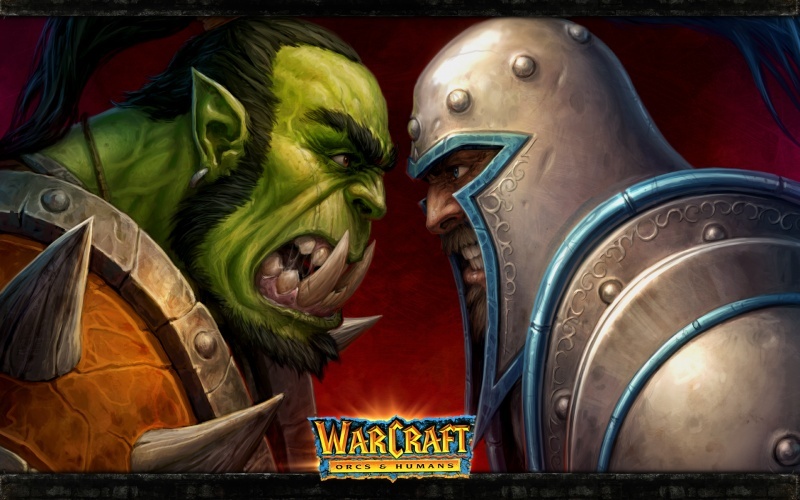 WoW itself being year 25 after “Warcraft: Orcs & Humans” (released in 1994). Azerothian years are longer than Earth ones in a way not even Doctor Who would understand. You may play an Expansion for two years & celebrate two years worth of annual holidays in game but when the next expansion is released only a year has passed. I’ve given up trying to work out how old my characters are, being night elves they just declare they stopped counting after the first thousand years or so. Given I couldn’t even bring myself to change Ari’s hairstyle when barber shops were introduced I’m not that bothered about this. I’ve played enough other games to know that personally it’s not a big thing. 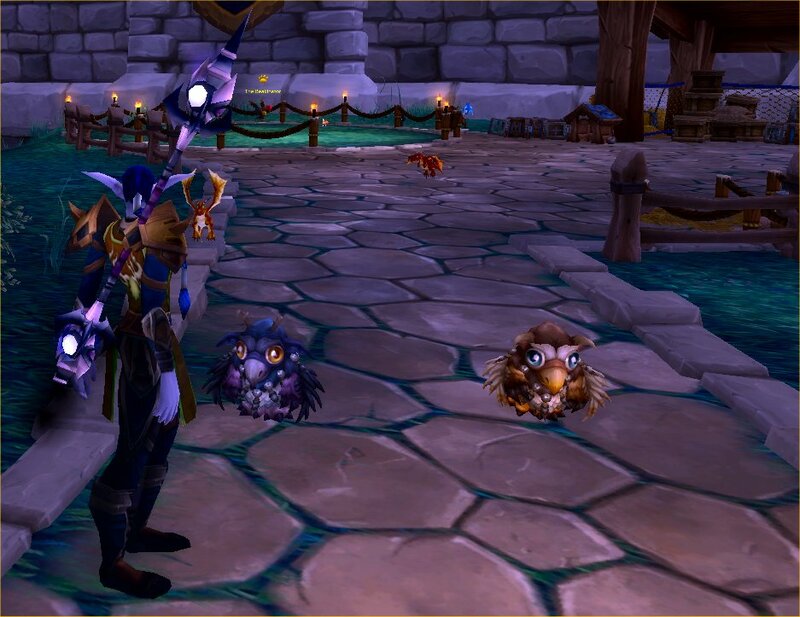 It does occur to me that they are going to have to finally upgrade moonkin form, or lose it altogether. 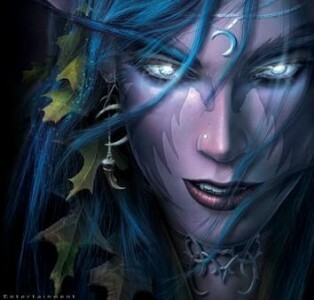 I am keeping my fingers crossed that the night elf bounce animation gets killed off. It has never gone with Grom Hellscream’s first impressions of the night elves “These women fight with unmatched savagery! I’ve never seen their equal. They are… perfect warriors.” and “They almost look like elves. But they are far too tall, and far too savage.” Do they sound like women who bounce with a silly grin on their face? Hmm maybe with new models come new animations. Ari has wanted to cross her arms & scowl at people for many years. On seeing these my first thought was “ooh just like Warcraft 1, 2 & 3.” Which is a good thing. I liked building towns, It looks like you can also create units, called followers and do dungeons & raids. Not sure if that’s with them, like SWTOR where you take a companion with you or if you send them off and some time later they return with loot it looks like the latter from this screen capture. There’s lots more I want to know about Garrisons, are they per character or per account/server. I’d like the latter as I’m never going to be able to build garrisons for every character, but all of my characters working together now that would be one mighty place. I’m sure other stuff got announced too but there’s plenty of time to look at them between now and release which I think is Dec 2014. Oh yes insta boost to level 90. Well I’m planning on having lots of 90’s before the expansion hits (hollow laughter) but I’m sure I’ll find a use for it. 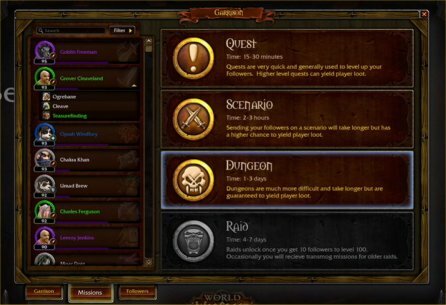 As I actually like levelling and questing it’s not a major draw for me but I can see it as a good way to bring people back and draw in new players so a sensible option. 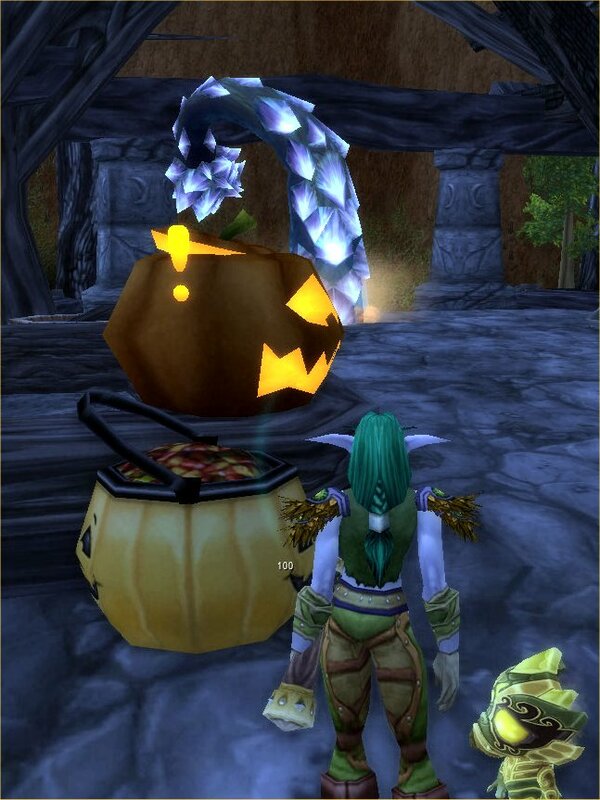 During Hallow’s End there are pumpkin candy quests at most of the working inns and an achievement that goes with it. This one isn’t on the list. I know I did all of Kalimdor ones on Bechka, not for the achievement so much as the easy guild XP which helped push us up to level 8. May I introduce my monk to you. I didn’t come back to play a monk. I was missing my druid. The thing is though that on a 10 day free trial Blizzard caps the XP so you can’t level beyond 85. Clever ploy because I needed to play something other than my four 85’s and well there was this new class I hadn’t tried before. I did try a Pandaren honest but I’m really not into anthromorphised animals. I am into elves though or maybe forward rolls as my main complaint about human females is the jump animation. So Bechka was born. We raced through the levels, heirloom gear mainly. I often skipped the daily monk quest as we were levelling quite fast enough without it. I love the mechanics, building Chi to power finishers and regaining mana from specials or drinking brew, while semi passively healing herself and anyone around her. I have to admit I find the amount she needs to ‘drink’ quite funny. 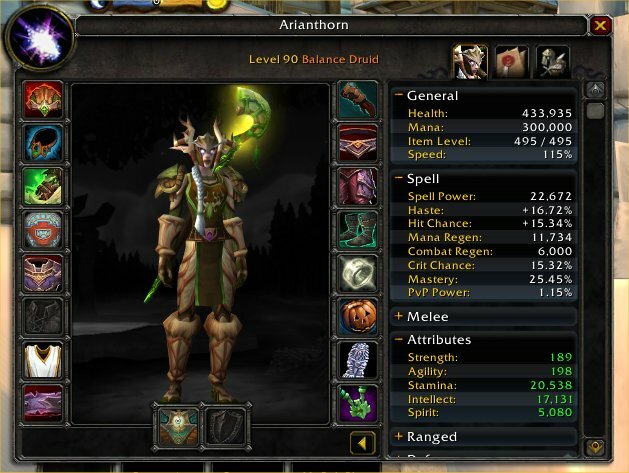 Having played a balance druid in classic back when they were called Oomkins I always joked about Ari’s ‘drinking problem’ as I had to carry stacks of drinks for knocking back between fights, but it pales in comparsion with Bechka’s need to drink midfight. Usually I get my alt to the level cap and then wonder what to do with them, but I’m probably playing Bechka more than Ari at the moment. 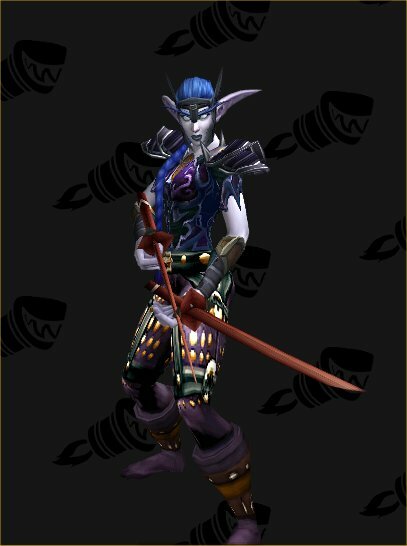 Now some of that is down to transmog as while I’ve always known Ari would wear Tier 4 if she had the choice (and now she does) I’m still trying to find Bechka’s look. I know I want it to be streamlined and simple. We started by running multiple Wailing Caverns to get the Embrace of the Viper set, but it’s a bit too pink. She’ll probably wear it during the lunar festival though, it has more of a party vibe than a work wear one. There’s a no kilts/robe rule. Given all the kicking she does a full length dress just isn’t practical. I’d like her to be barefoot hence the prospectors boots in the picture above, but there are very few items with that skin and even fewer items that work well with them. I guess we’re never too old to play dress up. I’m not done with collecting outfits for her yet. I’m even going back to Karazhan to try and get the Bloodfang recolour for her. I have discovered I like soloing dungeons, well I sort of knew it already but a new character and transmog gives me all the excuse I need.